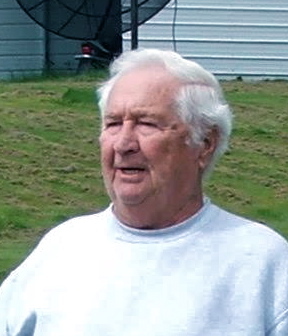 James A. Cunningham, age 91, one of the last of the survivors of the sinking of the USS Mississinewa, died peacefully at his Whitefield home early Friday morning, August 4, 2017. The beloved husband of the late Ethel A. (Doerr) Cunningham, he has been the devoted companion of Ellen (Power) Ineson for many years. Born in Roxbury, MA, and raised in Dorchester, Jim was the fifth of the eight children of John and Mary W. (Feeley) Cunningham. His family was very active with Saint Peter’s Parish and spent summers in Derry, NH, at their summer camp on Big Island Pond. 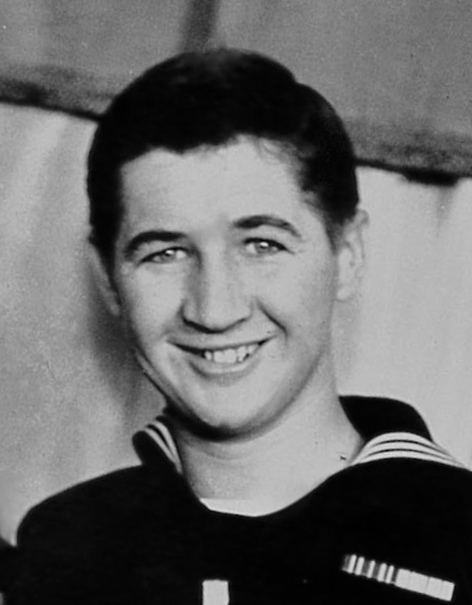 He attended Boston’s Mechanic Arts High School prior to enlisting with the Navy in February of 1944. Jim served as a ship’s cook on the newly commissioned USS Mississinewa, an Auxiliary Oiler capable of transporting over 400,000 gallons of aviation fuel and 90,000 barrels of fuel oil. During the second week of October 1944 she had emptied herself into the ships scheduled for the Battle of Leyte Gulf and made her way back to base at Ulithi Atoll. Entirely replenished by the 15th of November, the Mississinewa was rammed by the only successful Japanese Kaiten manned torpedo five days later. The resultant conflagration was witnessed for dozens of miles and, as the fuel fed fire spread across the water, the ship was abandoned. Fortunately for Jim he was a strong swimmer and was able to successfully make his way beneath the flames to safety. Over 60 of his shipmates were not to survive. In later years he kept in touch with fellow shipmates, going to reunions, being interviewed by writers and participating in a Discovery Channel documentary on the sinking. 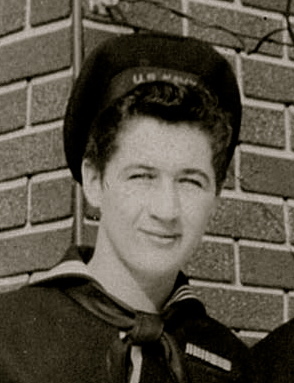 Jim served three more years with the Navy and in 1946 was sunk yet again though this time without loss of life. After the war he lived in West Roxbury, MA, where he became well known as a baseball player at Billings Field, so much so that he was scouted by the Boston Red Sox. Already employed with the Boston Public Schools as a custodian, Jim chose to stay where he was and soon married Ethel. They made their home during the school year in Readville, MA, and he continued the tradition of summers in Derry with his growing family. His brothers shared his desire and there were soon five Cunningham summer cottages within close proximity on the lake. 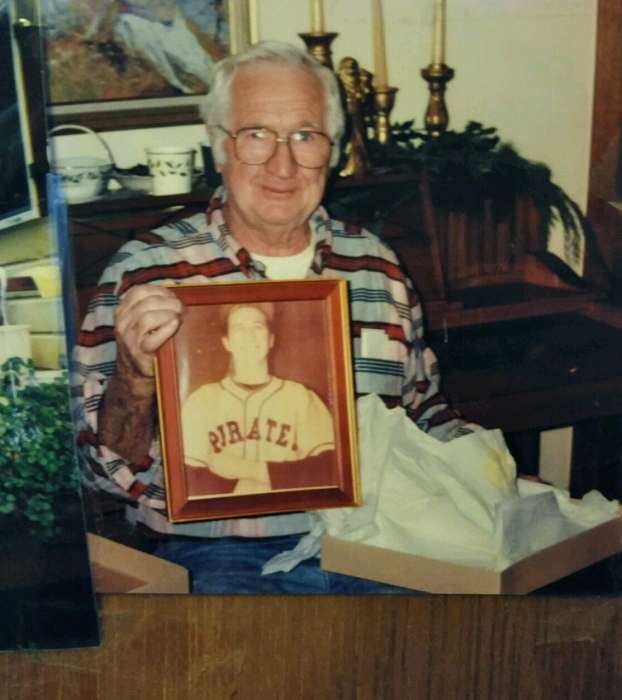 Jim played baseball in the summers with the Salem Pirates, and loved boating. 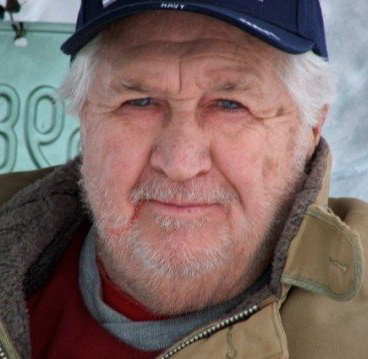 He was instrumental in starting a fleet of Snipe Sailboats that would race on the lake every Sunday during the summer months for over 50 years. In addition to sailing Snipes he also enjoyed building and restoring them. Remarkable craftsmen, Jim and his brothers were able to handle nearly any task and often did so together, particularly at their summer lake houses. 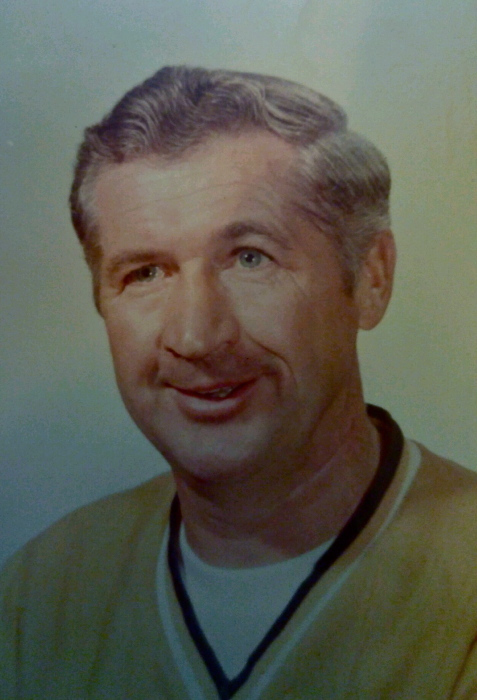 Wintertime saw Jim playing hockey with a men’s league and later coaching the Hyde Park (MA) Bantams hockey team. He would take his children and their friends to the lake in wintertime to skate and afterwards enjoy the warmth of a fire. In the late 70s Jim started raising and showing Irish Setters and Irish Wolfhounds. He came across a WWII vintage 110’ sub chaser, Patrol Cutter 653, and set about refurbishing it as a home away from home docked in East Boston. He retired after 40 years with the Boston City Schools in 1986 and took up playing golf in earnest, most often with his brother Ned joining a group of senior golfers in Andover. He soon started work on another World War II vintage craft, a 65’ Air-Sea rescue boat. At the time he was employed as a security guard at Perrini Brothers Construction, where Ellen had worked for several years. Jim and Ellen bought their home in Whitefield in 1997 and added to the property as occasions arose. Soon he had designed and engineered his own 9 hole golf course just outside his back door and he loved it. They raised chickens, providing eggs for neighbors and friends for many years and have continued to have a houseful of dogs. Their door has always been open for visits from family and friends alike, and Jim never lost his affinity for teaching youngsters about any number of things. He is survived by Ellen; his six children, Erin A. Cunningham Tsimbidaros of Scituate, MA, Karin Cunningham-Rioux of Paris, ME, James A. Cunningham, Jr. and his wife Mary Lee of Brockton, MA, Elaine C. Capobianco and her husband Raymond of Walpole, MA, Gail E. Rosata and her husband Vincent of Plainville, MA, and Lee S. Sidoti and her husband Kenneth of Hampton Falls; his grandchildren, Jason J. Danieli, Jennifer M. Danieli, Christopher J. Cunningham, Keith J. Capobianco, Steven F. Cunningham, Derek P. Rosata, Monica D. Verity, Amanda M. Rioux, Alexi W. Tsimbidaros, Vincent J. Rosata, Travis R. Rioux, Alicia M. Tsimbidaros, Dustin L. Rosata, Kayla S. Sidoti Voltz and Jamie L. Sidoti; his great-grandchildren, Maria, Tyler, Ethan, Evan, Corbin, Emma, Dylan, Chloe, Wesley, Logan, Nicole, Bryce, Julian, Nicholas, Noah, and Thomas; Ellen’s son David Ineson and his wife Barbara of Whitefield; her grandsons James M. Ineson of Amesbury, MA, and Jacob A. Ineson and his wife Tiana of Whitefield and their son Colten; a sister, Alice M. Hoy of Naples, FL; and two sisters-in-law, Frances Cunningham of Ocala, FL, and Anne Cunningham of Merrimack. Jim was also predeceased by his sister, Winifred G. Merrick, and his brothers John, Paul, Ned, Bill and Gerry. A Mass of Christian Burial will be celebrated in Saint Matthew’s Catholic Church, 9 Jefferson Rd, Whitefield, NH at 12noon with visiting in the church prior to the Mass at 10AM. Burial with military honors will follow at Park Street Cemetery. Donations in his memory may be made to the North Country Home Health & Hospice, 536 Cottage Street, Littleton, NH 03561, or an Animal Rescue or Shelter of your choice.